Scene created by the Föhn wind moving clouds over the Swiss Alps, and the sun rising behind the Mythen mountains. 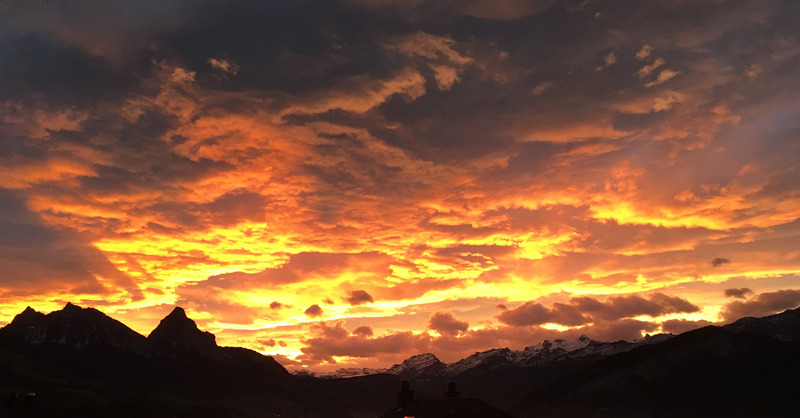 This entry was posted in Pictures, Switzerland and tagged Clouds, Mythen, Photography, Picture, Sunrise, Switzerland by Erich Styger. Bookmark the permalink.